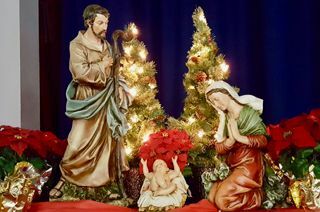 Immaculate Heart High School invites all college-aged alums to its annual Christmas Program on Friday, December 14. Click here to RSVP for your complimentary ticket. Join us to celebrate the Christmas season as only IH Pandas do! There will be songs, dances, and performances from students in all grades. Recent alums who are current college students are welcome to return to their alma mater for the day, which will begin at 8 a.m. and run until 11:30 a.m.